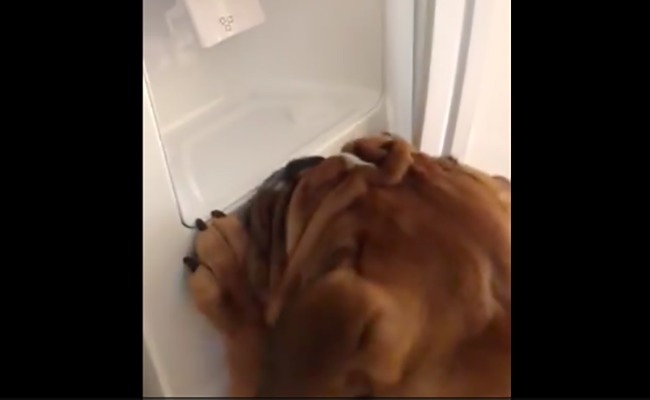 Tank the dog likes to eat ice, and he’s learned how to work the refrigerator’s ice machine, so he can get his own. Did you know that some crushed ice may help your dog a lot when he has stomach problems and must vomit a lot ? When we returned from the shelter with our 1st adopted dog, she had been vomiting for a whole day and night. So we went to the vet and he told us to give him some crushed ice. And it helps!! After a couple of hours the vomiting had already considerably reduced. Smart pup but I bet he makes a mess. I have a cat loves to chase a piece of ice. It's our nightly ritual before bed.